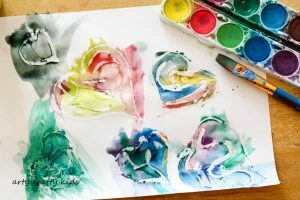 Today we’ve swapped our white crayons and oil pastels with a hot glue gun to create this amazing Watercolour and Glue Resist Heart Painting. I simply adore how the painting turned out, with the designs appearing lifted from the page. 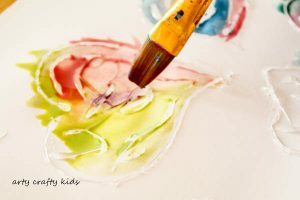 It’s a process that can be enjoyed by an incredibly broad age group, from toddlers to teenagers (and I’m sure a few adults would a welcome play too!). Resist art never fails to engage my own kids. There’s an element of intrigue – What will the paintings reveal? – to a calm and considered approach as they fill in, cover and bring their designs to life. 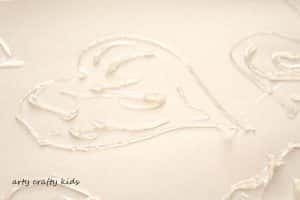 And while we’ve used a hot glue gun to create a type of 3D effect, ordinary PVA glue from a squeezy bottle would also work or failing that, simply use a white crayon as a ‘resist’ medium. 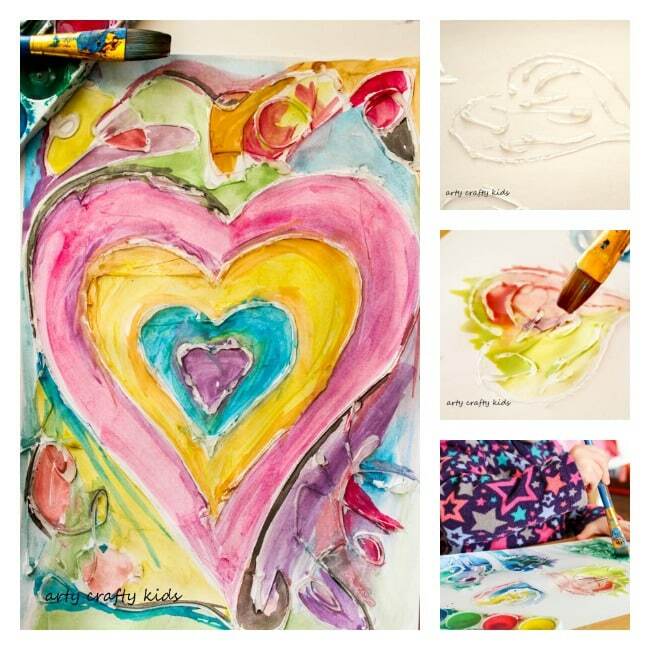 Whatever resources you have at home, this a do-able and easy art project to recreate at home or within the classroom. Using a soft pencil, gently draw a design onto the white card. Be creative – draw hearts, flowers, stars, sun and moon or create a cool underwater scene. 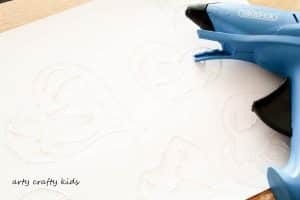 Using a hot glue gun, follow the drawn lines and dispense glue. 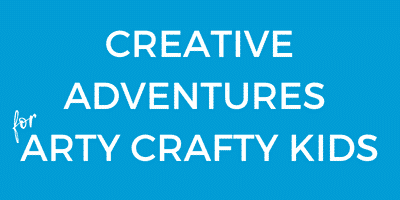 If you do not have a hot glue gun, you could buy one here or simply substitute it for PVA glue from a squeezy bottle – just be aware that PVA glue takes longer to dry and may overflow. The glue from a hot glue gun should take minutes to dry! Next, add the watercolour paint by mixing water first and then colour. 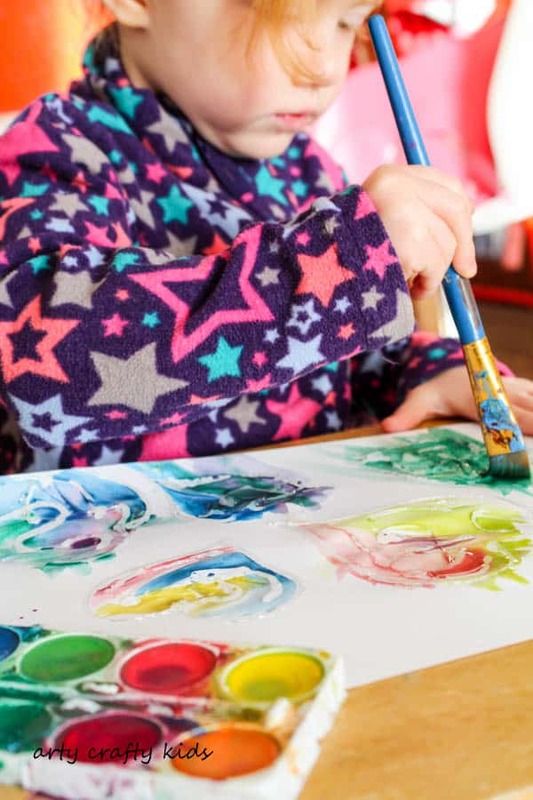 As you can see from the concentration of my little ones face, she was totally absorbed in this process and took great care to colour in each individual heart. 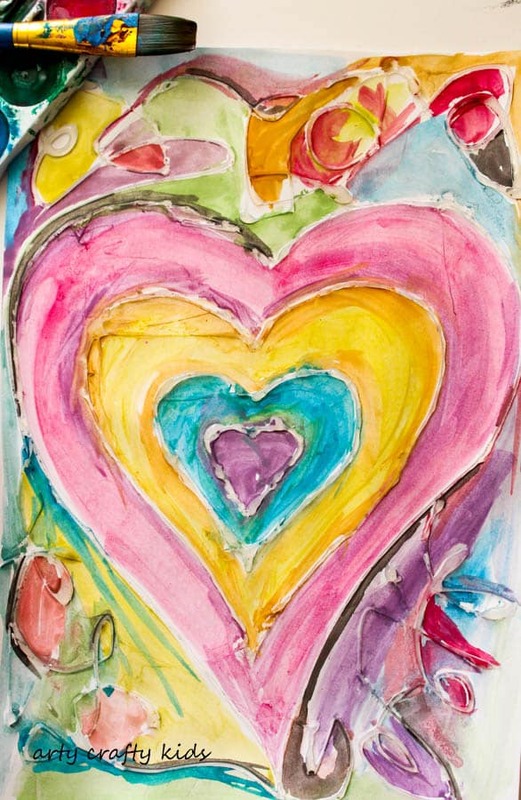 And that’s the basic method we used to create our heart paintings. 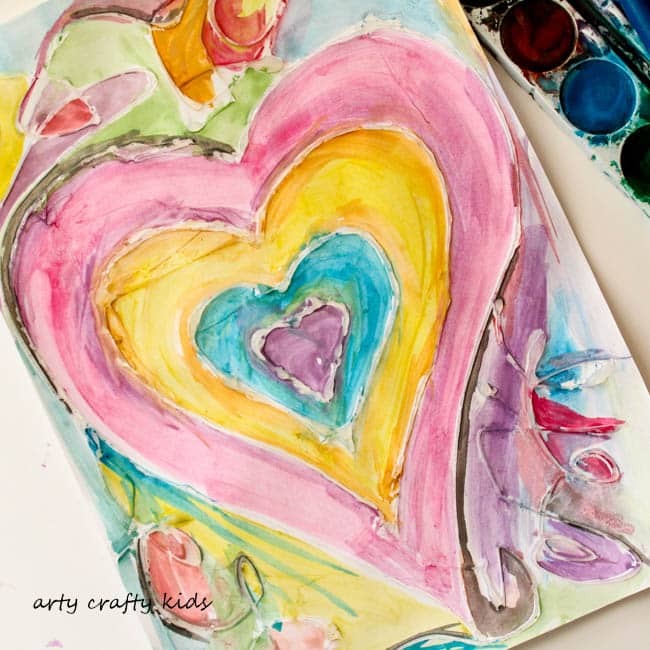 My 6-year-old completely through herself into this watercolour and glue resist heart painting process to create the featured piece that brought you to this post. 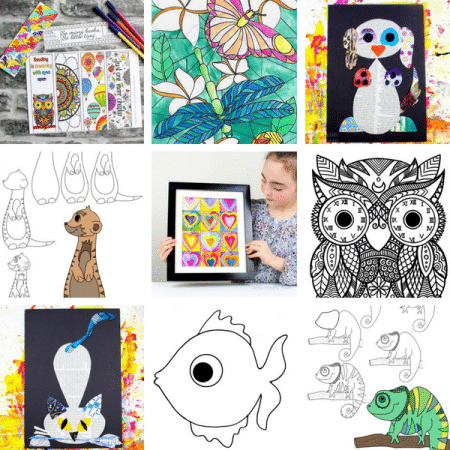 For more resist art inspiration take a look at our incredibly popular spider web and snowflake!